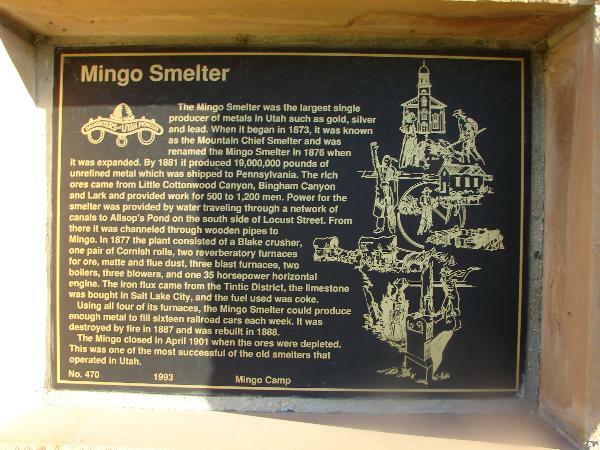 The Mingo Smelter was the largest single producer in Utah of metals such as gold, silver, and lead. When it began in 1873, it was known as the Mountain Chief Smelter and was renamed the Mingo smelter in 1876 when it was expanded. By 1881 it produced 19,000,000 pounds of unrefined metal which was shipped to Pennsylvania. The rich ores came from Little Cottonwood Canyon, Bingham Canyon and Lark and provided work for 500 to 1,200 men. Power for the smelter was provided by water traveling through a network of canals to Allsop’s Pond on the south side of Locust Street. From there, it was channeled through wooden pipes to Mingo. In 1877 the plant consisted of Blake crusher, one pair of Cornish rolls, two reverberatory furnaces for ore, matte, and flue dust, three blast furnaces, two boilers, three blowers, and one 35 horsepower horizontal engine. The iron flux came from the Tintic District, the limestone was bought in Salt Lake City, and the fuel used was coke. Using all four of its furnaces, the Mingo Smelter could produce enough metal to fill sixteen railroad cars each week. It was destroyed by fire in 1887 and was rebuilt in 1888. The Mingo closed in April 1901 when the ores were depleted. 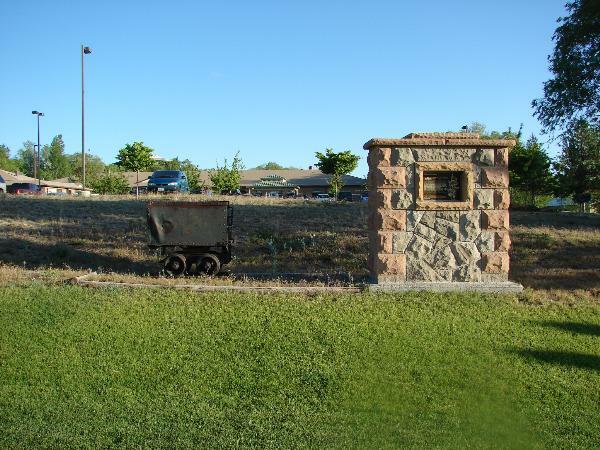 This was one of the most successful of the old smelters that operated in Utah.